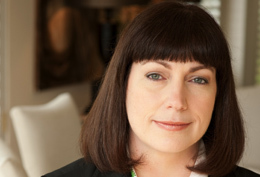 Deidre Brennan has resurfaced at Corus Entertainment, and will be vice president of kids content at the Canadian media giant. She joins having recently exited Australian pubcaster ABC where she oversaw its kids channels and content. Corus’ kids brands include YTV, Treehouse, Teletoon and the local versions of Nickelodeon, Cartoon Network and the Disney channels. Brennan will be based in Toronto and oversee development, programming, acquisitions and scheduling at the kids nets. She will report to Colin Bohm, executive VP, Corus Kids. “Deirdre is joining Corus Kids at an exciting time as we grow our strong portfolio of kids’ channels and build on our strategy to own more content,” said Bohm. Before her stint at ABC, Brennan was running BBC Worldwide’s channels in Australia and New Zealand. Prior to that she was programming chief for Nickelodoen Australia. “I am excited to join Corus, a dynamic organisation that’s incredibly committed to producing and delivering the best content for Canadian children and the world,” said Brennan.